Email continues to be the number one source of data loss risks. If your organization handles data governed by regulations such as PCI, HIPAA or GLBA, you need to ensure that your email system can protect sensitive information from improper exposure, while also enabling secure communication your customers, clients and business partners. Join this discussion to learn more about requirements for protecting sensitive data in email. 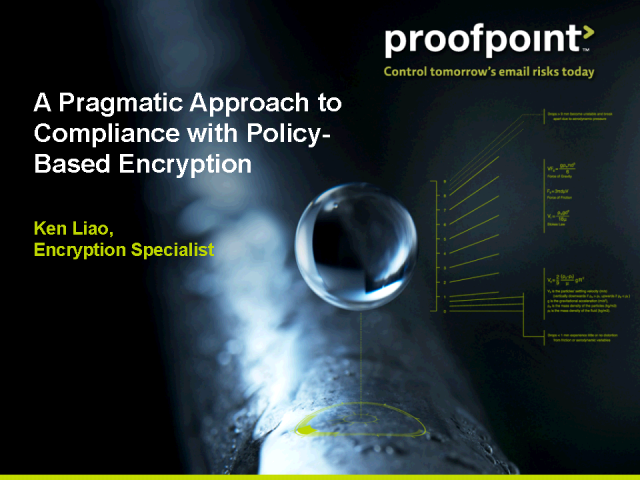 You’ll learn how automatic, policy-based email encryption can provide effective protection for sensitive information in email and why it be should be a central part of your approach to compliance.